PORTLAND, Ore. (CN) — Oregon sheriff’s officers shot to death a peacefully grazing goat after antagonizing it, watching it die in pain after three shots before the coup de grace, the goat’s owner says in a federal civil rights lawsuit. Matt Minnick, a farmer, sued Washington County for its officers’ execution of his Kiko goat named Volt. Volt was “peacefully grazing in a grassy area with some other goats” between several unoccupied houses under construction in Northwest Portland when Officer Brian Auld approached it, Minnick says in the Dec. 19 complaint. It continues: “The goat walked toward Deputy Auld, who then decided to grab its horns and push the animal away. Deputy Auld did this more than once and noticed that each time he grabbed the horns and pushed the goat away it made the goat ‘more and more angry,’ yet Deputy Auld continued to push the goat in spite of how his actions were causing the goat to react. The goat struggled to its feet, screaming in pain, and Auld shot it again, below its eye. As it screamed and struggled, Auld shot it a third time, “just above the shoulder,” Minnick says. Another sheriff’s officer arrived and the two men watched the goat “scream in pain and flop around suffering,” then called a third officer to come with a rifle. He did, and shot Volt a fourth time, killing it. Kiko goats are meat goats originally bred in New Zealand. Breeders in the Northwest prize them for their adaptability to rugged terrain and rainy weather. Washington County borders Portland to the West. Its county seat is Hillsboro. Minnick described the incident to a local Fox TV station in August. Minnick did not sue any of the deputies; the only defendant is Washington County. A spokesperson for the sheriff’s office said at the time that the deputy had no other choice, and was threatened by the size of the goat and its horns, which were more than 18 inches long. But Minnick says Volt posed no danger to Auld, who created and exacerbated the situation by pushing Volt away and making him angry. “They say, ‘Yeah, it was either me or the goat,’ and I said, ‘Man, there are 7-year-old kids that deal with these goats, infants that deal with these,’” Minnick told Fox 12 in August. He seeks $76,000 in damages for federal civil rights violations, including excessive force and recklessness. He is represented by Geordie Duckler of Tigard, who specializes in animal law. 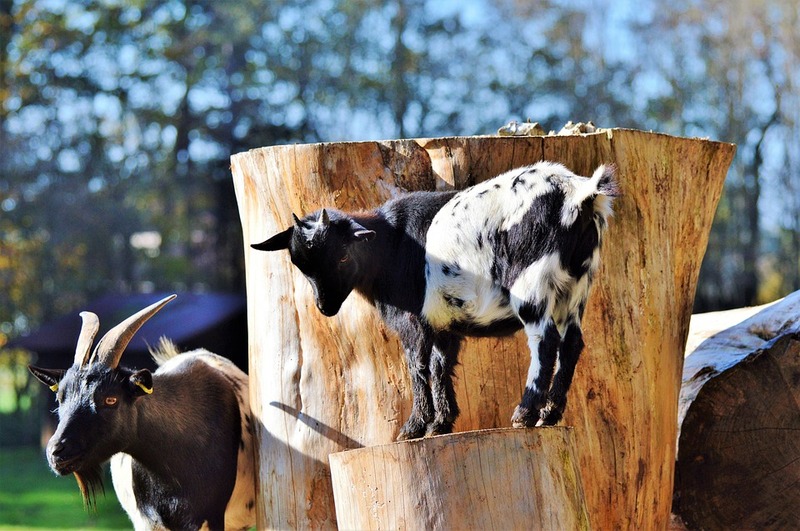 Portland allows people to keep up to three pygmy goats in their back yards without a permit, and goats are not an uncommon sight in the city. A farm in Albany, Oregon made national headlines last year for its “goat yoga” program. The animal-assisted therapy involves standard yoga classes in which goats interact with the participants. “As I used the goats for my personal therapy, I started thinking that I could help other people that are suffering from stress, depression, illness, autism or PTSD by starting a therapy program using my goats,” Lainey Morse of No Regrets Farm wrote on her website.